Ananta is a Sanskrit term which means 'endless' or 'limitless', also means 'eternal' or 'infinite', in other words, it also means infinitude or an unending expansion or without limit. It is one of the many names of Lord Vishnu. Ananta is the Shesha-naga, the celestial snake, on which Lord Vishnu reclines. ↑ Roshen Dalal. 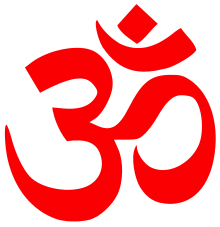 Hinduism: An Alphabetical Guide. Penguin Books. p. 27. ↑ Stephen Knapp. 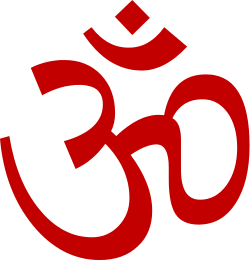 The Heart of Hinduism: The Eastern Path of Freedom, Empowerment and Illumination. iUniverse. p. 159. ↑ Ganga Ram Garg. Encyclopaedia of the Hindu World. Concept Publishing Company. pp. 424–5. ↑ Parameshwaranand. Encyclopaedic dictionary of the Puranas Vol.1. Sarup and Sons. p. 65. ↑ Ramanuj Prasad. Know the Upanishads. S.Publishers. p. 112. ↑ Michael James. Happiness and the Art of Being. Arul Books. p. 257. ↑ M.P.Pandit. Upanishads: Gateways of Knowledge. Lotus Press. p. 127. ↑ Paul Deussen. The Philosophy of the Upanishads. Cosimo Inc. p. 90. ↑ Bhagavad Gita Ch.11 Sl.19. ↑ Narsimhacarana Panda. The Vibrating Universe. Motilal Banarsidas. p. 21. ↑ M.N.Behera. Brownstudy of Heathenland. University Press of America. p. 14. ↑ Gregor Maehle. Ashtanga Yoga The Intermediate Series: Mythology, anatomy and Practice. New World Library. pp. 41, 134. ↑ Srivatsa Ramaswami. Yoga for Three Stages of Life. Inner Traditions. p. 96. ↑ R.S.Bajpai. The Splendours and Dimensions of Yoga. Atlantic Publishers & Distributors. p. 113. ↑ Arun Kumar Jain. Faith and Philosophy of Jainism. Gyan Publishing House. p. 6. ↑ Pratiyogita Darpan: General Studies of Indian History. Upkar Prakashan. p. 44.